Welcome Aayushma! Aayushma is a new NCEP Scholar this year (2011), along with her older sister, Sarita. Both are attending the Sitala Higher Secondary School, and Aayushma will be entering Class 1. With a very supportive mother and a strong desire to go to school, we are confident that Aayushma will be a very successful NCEP Scholar. 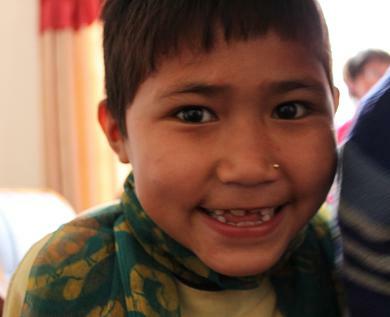 Originally from outside Kathmandu, Aayushma lives with her mother, older sister, and younger brother, Sajan (who will be entering Upper Kindergarten this year), in an area of Kathmandu called Banasthali. Their home is a 20 minute walk from the school, which Aayushma and Sarita make together each day. Aayushma’s father, who has battled alcohol issues, left the family last year. 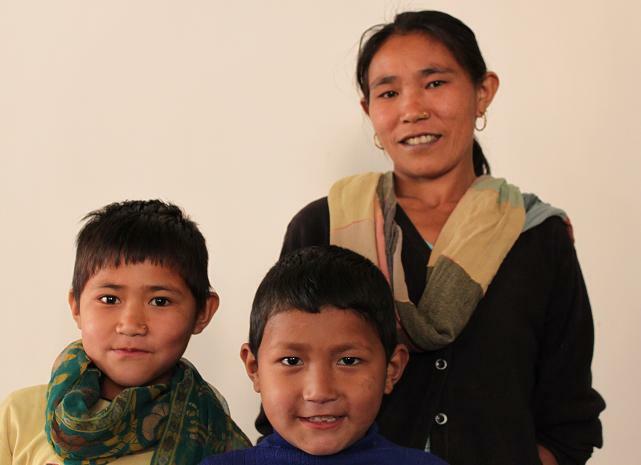 Aayushma’s mother, who is uneducated, is now left as the sole supporter of three children on very little income. Last year, Aayushma stayed at a children’s home near Pokhara, because her mother hoped she would have a more comfortable life there, and would be able to attend nursery and kindergarten. But the facilities at the orphanage were not good, and the family – and Aayushma – believed it would be best for her to come home where she could be with her family and attend school with her sister. A shy, intelligent girl, Aayushma is very happy to be back home, and we are very excited to share stories of her progress with you throughout the year. Aayushma (left) with her mother Maya and younger brother Sajan. NCEP Co-Founder Raju walks with Maya to her home from Aayushma and Sarita’s school. This is the same walk that the two sisters make together each day.